2009 was the year of Lance Armstrong’s long-awaited comeback; the internal strife that ripped through the Astana team during the Tour de France; Mark Cavendish’s Milan-San Remo and six Tour stage wins and of course, Bradley Wiggins’ ride to fourth overall in the same race. Though British athletes enjoyed unprecedented success on the road, there was also plenty to cheer on the track and at a grass roots level too. Chris Hoy was knighted for his performance in Beijing, Geraint Thomas clocked the third fastest pursuit time ever, an estimated 65,000 people flocked to the Capital for the London SkyRide and British Cycling’s membership figures reached an all-time high. Though thriving, cycling must also contend with bigoted attitudes and behaviour as seen on too many occasions this year. The Etape Caledonia sportive was sabotaged with carpet tacks and James Martin sparked controversy with his anti-cyclist vitriol. From Armstrong’s comeback at the Tour Down Under to Cadel Evans emotional world championship win, we take a look back at the year in cycling news. 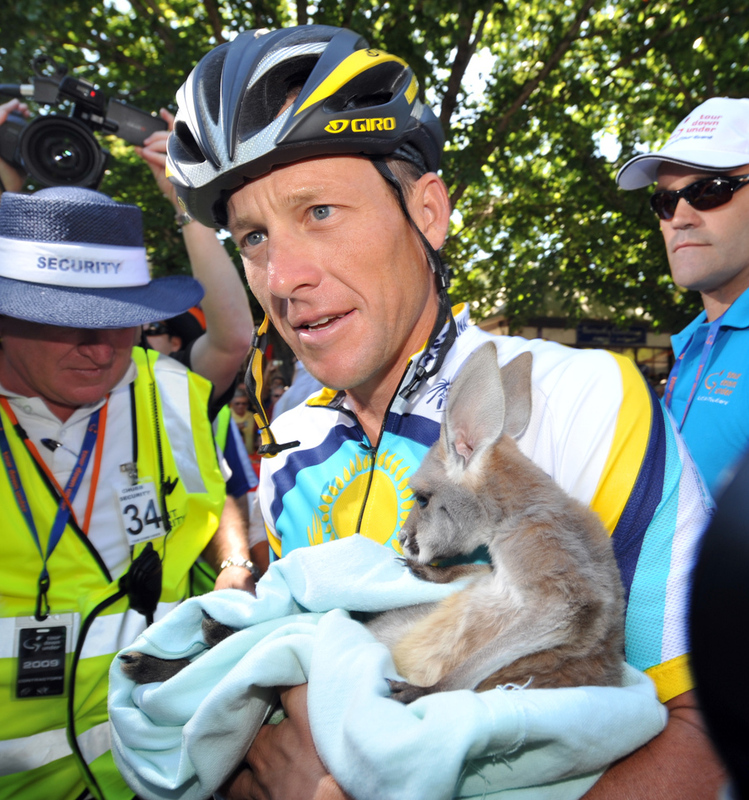 After 1,274 days of retirement, Lance Armstrong arrived in Adelaide for his comeback race, the Tour Down Under. In the colours of the Kazakh-sponsored Astana team, with Johan Bruyneel by his side, it was almost like the old days – except Armstrong never used to start his season in January. The seven-time Tour de France winner created a huge stir in South Australia. Crowds were enormous and interest in the event reached an unprecedented level. Most of the clamour was for Armstrong. In terms of assessing Armstrong’s ability it didn’t offer many clues. He finished safely in the bunch every day and even went on the attack briefly at the start of stage two. On Twitter he remarked on how fast the racing was and how great it was to be back. Allan Davis of Quick Step won overall, despite the insertion of Willunga Hill, designed to thwart the sprinters. Armstrong was 29th. But it was not a comeback without complication. Before the race, it emerged that Armstrong had not given the UCI six months’ notice of his intention to return, a rule put in place so that returning riders could be subject to six months of out-of-competition testing before racing. Armstrong should have been eligible to return on February 1, but the rule was waived to allow him to start the race on January 21. There was also controversy over the reported $2million appearance fee paid to Armstrong. It had been assumed the money would go to charity, as the main motivation for the comeback was to raise awareness for the cancer charity, but the payment went instead to Armstrong. ‘Lance fever’ never quite reached the same boiling point again as it did in Adelaide, but that was before ‘Showergate’, before he broke off his agreement with anti-doping expert Don Catlin, and before the petty spat with Alberto Contador. Three Olympic gold medals and the BBC’s Sports Personality of the Year award were already in the bag when the news came that Chris Hoy was to be knighted. The Scottish sprinter was awarded the knighthood in the New Year honours list, and was one of a number of Olympic and Paralympic cyclists to be honoured. Bradley Wiggins, already made an MBE after Athens, received the OBE, as did British Cycling’s performance director Dave Brailsford. Paralympians Ellen Hunter, Darren Kenny, Aileen McGlynn and Sarah Storey were all awarded the OBE, while MBE’s were bestowed upon Ed Clancy, Nicole Cooke, Jody Cundy, Anthony Kappes, Jason Kenny, Paul Manning, Victoria Pendleton, Simon Richardson, Rebecca Romero, Jamie Staff, David Stone, Barney Storey and Geraint Thomas. Chris Hoy officially became Sir Chris in June, when he was knighted by Prince Charles. Sir Chris’s mother, Carol, a 61-year-old retired nurse received an MBE for her 28-year career as a nurse dealing with sleep-related illnesses. A week after Davide Rebellin won Flèche Wallonne for the third time, the bombshell hit in the form of a declaration that he had failed a drug test after claiming a silver medal at the Beijing Olympics. After Bernhard Kohl and Stefan Schumacher, the veteran Italian became the third member of the German Gerolsteiner squad to test positive for CERA, the third-generation version of the drug EPO. Rebellin’s long and successful career was suddenly under a dark cloud, and his victory in the Belgian Classic was immediately discredited. Almost eight months had elapsed between the Olympic Games and the announcement of the positive test, and in that time Rebellin had joined the Serramenti-Diquigiovanni team and won a major race. Rebellin denied taking the drug, but he was suspended and in November he was told the Olympic silver medal he had won in the road race in Beijing would be taken away. In the summer, Danilo Di Luca, who pushed Denis Menchov all the way in the Giro d’Italia, tested positive for CERA. There were also positive tests for Katusha’s riders Christian Pfannberger and Antonio Colom. Months before the opening team time trial stage of the Giro d’Italia, all the talk of Garmin-Slipstream’s likely victory had been getting on Mark Cavendish’s nerves. In the winter, he had warned Garmin against putting all their eggs in one basket, and said he believed Columbia would be stronger in the opening stage at Lido di Venezia. Cavendish was right. Columbia was the first team to start the stage and set a time that would not be beaten. Garmin got closest, but they were six seconds adrift. As Columbia headed towards the line, Cavendish went to the front to lead them home and become the first British rider to pull on the pink jersey in the Giro d’Italia. Although he didn’t win the opening road stage in pink, pipped by Alessandro Petacchi in Trieste, he did win three stages before withdrawing from the race to concentrate on the Tour de France. Something of a pattern was forming when Tom Boonen tested positive, out of competition, for cocaine for the second year in a row. Just as in 2008, all the pressure of carrying Quick Step, and Belgium’s, Classics hopes was eased by victory in Paris-Roubaix. But, a month later, it was revealed he had tested positive for cocaine. Banned from last year’s Tour, this time ASO did not stand in Boonen’s way and Quick Step’s team management was happy to press him into action. Just as the UCI was contemplating eliminating the individual pursuit from the Olympic Games track programme, the competition began to hot up and it looked as if the previously untouchable Bradley Wiggins might face a challenge. At the Manchester World Cup, Welsh rider Geraint Thomas – already a member of Great Britain’s world record-holding team pursuit quartet – rode the third fastest 4,000-metre pursuit of all time. Thomas’s time of 4-15.015, set in the qualification round, was the fastest time recorded without the advantage of the ultra-aerodynamic ‘Superman’ position. All the more remarkable was the fact Thomas had done just a couple of weeks of specific pursuit training before winning the National Championship title with a 4-18. And, in the final against Belgium’s Dominique Cornu, Thomas was up on his qualifying time when he completed the catch, but did not press on to record a time. Though still some way off Chris Boardman’s world record of 4-11.114, the level of competition between Wiggins, Thomas and the American Taylor Phinney, who did a 4-15.160 at the World Championships in Poland earlier in the year, raised the possibility of the record being challenged. However, with the event removed from the Olympic programme it’s likely the big names will not focus on it to the same extent. The Manchester World Cup was a successful campaign for the British riders, who won 10 gold medals, setting a new world record in the women’s team pursuit and going within a second of the men’s team pursuit world record. And the gold medal won by Wendy Houvenaghel, Lizzie Armitstead and Jo Rowsell in the team pursuit was the 100th World Cup gold won by Great Britain in the 17-year history of the event. Nicole Cooke won her 10th National Road Race title to move ever closer to Beryl Burton’s all-time record of 12, claimed between 1959 and 1974. On home turf in South Wales, Cooke’s strength and experience told in the finishing straight, and the world and Olympic champion crossed the line to net yet another national title. For Cooke, it was a rather anti-climactic year with little to celebrate, and her Vision 1 team folded mid-way through the season. Controversy dominated the afternoon, however, when chief commissaire Colin Clews ruled that Armitstead, who finished second, should not be awarded the silver medal for the elite race because she was technically in the under-23 category. Armitstead was presented with her under-23 champion’s jersey and gold medal but third-placed Pooley was given the silver medal for the senior race. The crowd was not happy and booed the decision. A few days later, British Cycling ruled that Armitstead would receive the silver medal for the elite race as well as her under-23 title. It started during the Tour de France. The Astana team was already being ripped apart by the Lance Armstrong-Alberto Contador power struggle. Armstrong and Johan Bruyneel had confirmed they would be splitting to set up Team Radio Shack. And then Alexandre Vinokourov called a press conference to say he’d be returning to action with Astana, whether Bruyneel liked it or not. Although Bruyneel and Armstrong like to think they can get the sport’s authorities to bow to their will, they knew that welcoming the toxic Vinokourov back as if nothing had ever happened would be politically sensitive. Vinokourov had tested positive for a banned blood transfusion during the 2007 Tour. Astana were asked to leave the race and they were not invited in 2008. Riding in a hideous ‘Vino 4 Ever’ jersey as part of a Kazakh national team, he won a time trial at the Tour de l’Ain, his first race back, then won the time trial at the Asian Cycling Championships in Indonesia. The Vuelta a Espana was a different prospect. Seventh in the prologue, he did a reasonable time trial at Valencia, finishing 15th, before struggling in the mountains. Being beaten into fourth place of four from a break on stage 10 was almost the final straw. He pulled out of the race two days later. Time was running out for Russell Downing. It was already late August and it was beginning to look as if Team Sky was not going to come calling. The 31-year-old from Yorkshire had dominated the domestic scene and been Great Britain’s only finisher at the 2008 World Championship Road Race, but every time he’d appeared on the verge of a much-deserved breakthrough, something went wrong. So, the three-day Tour of Ireland offered a golden chance to impress, and Downing did not hang about. He got into a powerful break with the likes of Alexandr Kolobnev, Matti Breschel, Philip Deignan and Haimar Zubeldia, and won the sprint at the finish with ease. Then it was all about the difficult final day to Cork. Downing was alert, strong and decisive, attacking with Lars Petter Nordhaug, who will be one of his Sky team-mates in 2010, to clinch the overall classification. It was the sort of ride that demanded attention, and if Downing’s name had been a little way down Team Sky’s list of targets before, he was suddenly in the frame. Telly chef James Martin must have wished he’d kept his ‘amusing’ thoughts about cyclists to himself. In the Mail on Sunday he described how he liked to startle cyclists by blasting the horn on the ultra-silent Tesla. Except that the cycling community didn’t see it that way. The internet was ablaze and the Press Complaints Commission was inundated. Tesla wasn’t happy either. The Mail had to suspend comments on its website and Martin was forced to issue an apology. The worst kept secret in cycling finally received confirmation as Team Sky was officially announced as the backer behind a new British-run road squad. Dave Brailsford’s dream of producing a rider from the UK capable of winning the Tour de France moved one step closer to reality with the four-year deal. Rupert Murdoch’s media empire already backed the Sky+HD track team so were logical partners for Brailsford’s bold plans, but with an estimated budget in the region of £10m per year, this was a big step up. The timing could not have been better, with British cycling on a roll following the Beijing Olympics and its riders suddenly household names. The ‘marginal gains’ strategy employed by Brailsford and Team GB had produced fantastic results on the track. Could they put the same attention to detail into winning the Tour? Pictures of an emaciated and exhausted dust-covered Bradley Wiggins sitting on the edge of the famous track after Paris-Roubaix brought home the transformation the Londoner was attempting. Wiggins’s sights went from the once-every-four-years glory of Olympic gold to the biggest prize in cycle sport, the Tour de France. The newly trimmed-down rider who took 25th place at Roubaix was testing his legs for the main event. And very effective they were too, despite the alarming lack of fat. Next stop for Wiggo was the Giro, and his talk of hitting a top-20 spot in Paris started to sound credible. 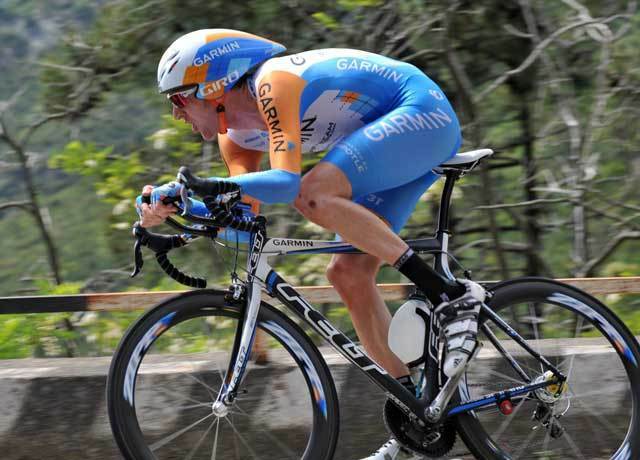 Dropping Lance Armstrong in the Dolomites and strong performances in both time trials showed what the Garmin rider was capable of. Wiggins drove his team to the line in a bid for the opening pink jersey in Venice but was forced to play second fiddle to Mark Cavendish and Columbia. Then he held his own in the mountains. Was this a new, media-friendly Lance Armstrong lining up for the start of the Giro? A cuddly, country-boy Texan complete with Southern hospitality and quotes for hungry journalists? It may have been lovey-dovey in Venice, but by the time we had reached the Dolomites Lance had slipped back to the usual grouchy grizzly with a very big thorn stuck in his paw we have grown accustomed to. To be fair to Armstrong, the circus that accompanies his every move on a major tour has to be seen to be believed. But with a reported $2m fee found by race director Angelo Zomegnan to lure the American to the Giro, the Italian was more than a little peeved to hear Armstrong complaining about dangerous stage finishes and the constant media focus on rifts inside his Astana team. The bunch reached the so-called centrepiece final stage in the centre of Milan, only for a go-slow protest that culminated in a farcical finale. Zomegnan’s costly star attraction bore the brunt of his anger, and with some style: “It seems that as some riders get older, their legs become shorter and their tongues longer,” said the organiser. Mark Cavendish hit the big time in 2008. Four stages of the Tour de France and two in the Giro showed the Manxman could out-sprint the best. Could he go one better in 2009? The answer was an emphatic yes. With Milan-San Remo in the bag and stage wins from the moment the new season kicked off in Qatar, Cavendish arrived at the Tour start in Monaco brimming with confidence – no surprises there – and with the legs to back up the big talk. And he didn’t keep British bike fans waiting for long: stage two to Brignoles and the Manx Missile got the perfect lead-out from his Columbia team-mates to open the 2009 Tour account. Overtaking Chris Boardman to go top in Cycling Weekly‘s all-time list of British winners was an added bonus. Pulling on the green jersey at the same time was a statement of intent: Cavendish wanted that points prize in Paris. Wily campaigner Thor Hushovd spoiled that particular party, but Cavendish kept on winning stages – six in all, including the Champs Elysées – mostly with several bike lengths to spare. A remarkable ride from a remarkable rider. 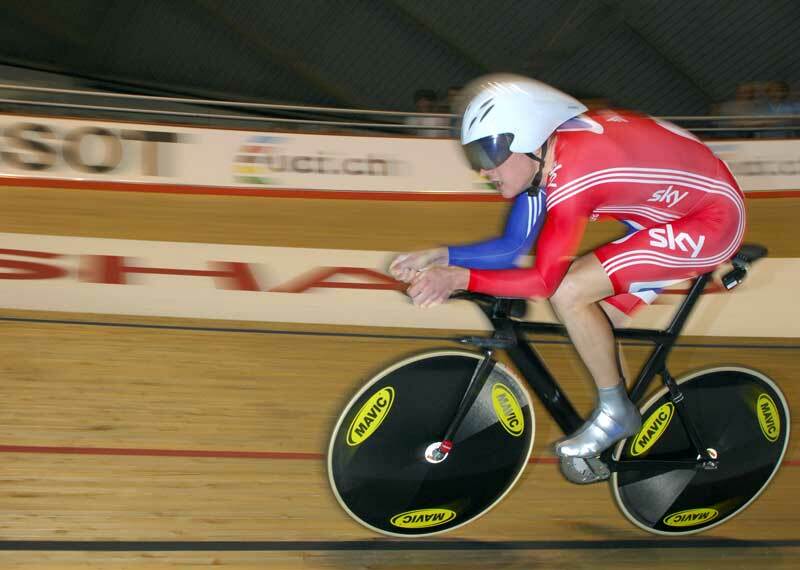 UCI proposals to shake up the Olympic track programme for 2012 were a case of swings and roundabouts for Team GB. Introducing the women’s keirin and team sprint gives Vicki Pendleton the chance for three golds, the same as Chris Hoy, while taking away the pursuit leaves Rebecca Romero with nothing to aim for. For the men, abolishing the points race, madison and pursuit would all be blows to the Brits – especially the pursuit – with only the omnium coming in. What is an omnium, exactly? It was always going to be an uneasy alliance once the racing got started. Alberto Contador, the strongest stage racer in the world, the only current rider to have won the Tour, the Giro and the Vuelta, had to accommodate the returning hero, Lance Armstrong. Things got off to a bad start when Contador forgot to eat during the crucial stage of Paris-Nice, surrendering the overall classification. “Great talent, but still a lot to learn,” said Armstrong on Twitter. Come the Tour, Armstrong was reluctant to talk about leadership. Armstrong led, briefly, during the opening time trial in Monaco, but ended the day as the fourth-fastest Astana man. Contador had beaten him by 22 seconds. It later emerged that he had had to pay for his aero wheels out of his own pocket. In the power struggle, supremacy was what counted, rather than the margin, because if Contador led it meant Armstrong would have to attack. Some tricky crosswinds on the third stage turned the race on its head. Columbia set a searing pace, Armstrong and some of his team-mates were in a good position, Astana’s Sergio Paulinho let the gap open and Contador was marooned. That’s racing, was Armstrong’s verdict. Come the Pyrenees and Contador took what little opportunity there was to attack and get his nose in front. That, according to Armstrong and Johan Bruyneel, was against team orders. Contador attacked again at Verbier to put the Tour beyond doubt. Even though the Spaniard was left without a team car to take him to the start of the Annecy time trial in the final week, he wrapped up the race with an imperious effort. By Mont Ventoux, the anticipated battleground deluxe, the race was over. But it had been a stressful ride for the Spaniard. Opposed and, he would say, hampered within even his own team, he kept his counsel and let his legs do the talking. Police stopped the first road stage of the Bikeline Two-Day in Merseyside after watching the riders repeatedly cross the white line in the middle of the road. The problems of organising elite-level bike races on the open roads in Britain were exposed again. After the prologue time trial, won by Russell Downing, the first road stage was in full flow when the police intervened. Organiser Jon Williams had hoped to negotiate to run the final stage the following day but was unsuccessful. “The riders were crossing over onto the other side of the road, and the police said that was putting lives at risk and inconveniencing other road users,” he said. 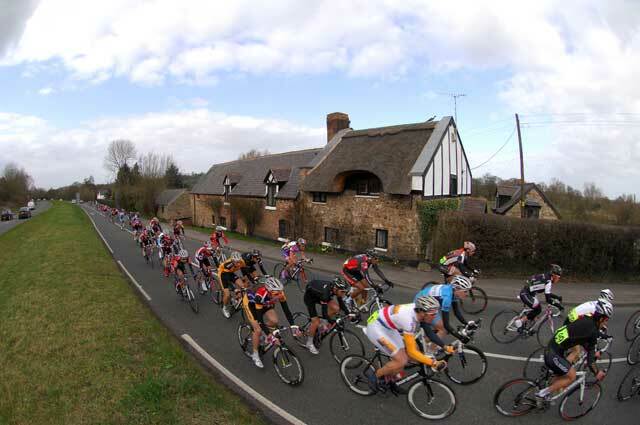 The cancellation was a blow to the Premier Calendar series, which had seen the ambitious Tour of Wessex, which planned to hold a road race on the same course as the sportive, cancelled because of difficulties with the police and local authorities. The Chas Messenger was cut to one day and the Archer Grand Prix was cancelled, although a race for lower categories was run. The UK’s only closed-road cyclo-sportive was sabotaged when carpet tacks were strewn across miles of the Etape Caledonia’s 81-mile course. Hundreds of riders punctured and the ride had to be temporarily halted while the roads were cleared. There had been protests over the road closure to allow the cycling event to take place in Perthshire, but the deliberate sabotage, which damaged bikes and endangered riders, was a serious escalation in anti-cycling sentiment. The event, which raises around £250,000 for Macmillan Cancer Support, restarted and the majority of the 3,500 participants continued with their ride. Police investigated and charged a 62-year-old called Alex Grosset, the chairman of Rannoch and Tummel Community Council. Organisers said they would work with the police and local authority to make sure there was no repeat of the incident in 2010 but it showed just how vociferous the anti-cycling lobby can be. Frank Vandenbroucke died of a pulmonary embolism while on holiday in Senegal. The 34-year-old had been one of the sport’s brightest stars at the end of the 1990s, with an astonishing victory in Liège-Bastogne-Liège, when he powered his fragile-looking frame over the steep climbs of the Ardennes in the big ring, the peak of his achievements. But, cycling’s darker side was never too far away for Vandenbroucke. His achievements were tainted by allegations of drug use and a police investigation. As he moved from team to team, each time riding for less money and slipping still further from that remarkable summit, the warning signs were there. Cycling’s other tortured superstar, Marco Pantani, had died in 2004, and although it sounds unforgivably harsh, when news of Vandenbroucke’s death broke there was little in the way of surprise. The Belgian’s life had taken some bizarre turns, such as the time he tried to commit suicide using a drug overdose, or the day he fired his shotgun in the garden during an argument with his wife, and each painful twist seemed to drive him further downwards. Even at the end, he was talking about making a comeback. Cycling was all he knew, and it encompassed his greatest highs and his bleakest tragedies. Adam Blythe, a former member of the British Cycling academy, who left the programme to make his own way in Belgium, impressed Silence-Lotto enough during a spell as a stagiaire rider to earn a two-year professional contract. The Sheffield-born 19-year-old left the academy by mutual consent in early 2008 and rode for Konica-Minolta as a stagiaire at the end of that season. After a season riding as an amateur in Belgium, Silence-Lotto offered him a trial period. At the end of that, they handed him a pro contract and a route straight into the ProTour. Will Team Sky come to view him as one that got away? For one weekend in late September, London was overcome by cyclists. Saturday saw a well-supported prostate cancer charity ride before the curtain came down on the Tour of Britain with a spectacular stage on the streets of London. The largest edition of the race to date finished with a bunch kick on the Embankment, won by Barloworld rider Michele Merlo, in front of thousands of spectators. However, that turnout seemed positively small in light of the next day’s events, which saw 65,000 riders in the heart of the capital for the grand finale of the inaugural Skyride series. As part of Sky’s goal of getting a million people cycling regularly by 2012, the new initiative had already taken closed-road riding to Manchester, Hounslow, Glasgow and Leicester. However, as hoped, the London Skyride was an unrivalled success. Roads previously clogged by the city’s motorised traffic were transformed into a fluorescent and fluid mass of cyclists. A carnival atmosphere pervaded as riders young and old took to the nine-mile circuit from the Mall to Tower Hill, happily pedalling past some of the capital’s finest landmarks in the warm September sunshine. 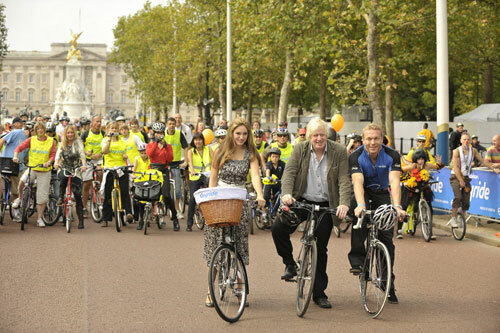 Celebrities such as Sir Chris Hoy and Kelly Brook joined Mayor of London Boris Johnson in saddling up to support cycling. The route itself was often at gridlock due to the sheer volume of cyclists on what was the biggest mass-participation ride the country has ever seen. It was heartening to see that the country’s myriad recent successes at the Olympics and the Tour de France have had such a positive impact on the masses. With the fusion of Britain’s successful national tour and the general public’s resounding “thumbs up” to cycling at the Skyride, this autumn weekend perfectly encapsulated the recent explosion in the sport’s popularity and profile. On the crest of a post-comeback wave, Lance Armstrong literally came back down to earth with a bang at the Vuelta a Castilla y Leon. More used to smashing Tour de France records than parts of his body during his yellow jersey-winning heyday, the Texan hit the deck on this Spanish warm-up race’s innocuous opening stage and fractured his right collarbone. Armstrong, whose career is synonymous with overcoming adversity, underwent surgery and was back on the bike quicker than expected. Only six weeks after his crash, the 38-year-old was, as promised, on the start line of the centenary Giro d’Italia. Thus, an injury which could have jeopardised his highly publicised return before it had gathered any speed, became another chapter in the ongoing Armstrong fairy tale. After riding himself into shape, he went on to the Tour de France where, incidentally, the only fracture present was between him and Alberto Contador within their Astana team. As the Tour Series got underway in Milton Keynes, it represented a bold leap into the unknown. Would fans turn up to lend their support, let alone understand the team-based scoring system? How would teams and riders stand up to the rigours of travelling and racing in ten rounds in such a short space of time? As the saying goes, the proof of the pudding is in the eating, and five weeks later, after the final round in Southend, there were no such concerns to be had. Sizeable crowds, lucrative sponsorship, abundant press coverage, including a prime-time slot on ITV2, and fast and fierce racing from the ten squads in attendance, ensured that the first edition of the Tour Series was a winner. After the initial rounds, the ‘top-three-per-team’ points system also promoted a more tactical and cohesive style of racing. Attention in the series was maintained all the way to the wire, with Halfords Bikehut, CandiTV-Marshalls Pasta and Rapha Condor ultimately separated by a mere handful of points. Not since the Kellogg’s series in the 1980s had there been such a keen interest in city-centre criterium racing. After this opening success, plans are already in the works to expand the competition; teams are also bolstering their ranks with the Tour Series in mind. Evidently, the established Premier Calendar now has a flash, new rival to contend with on the British racing scene. 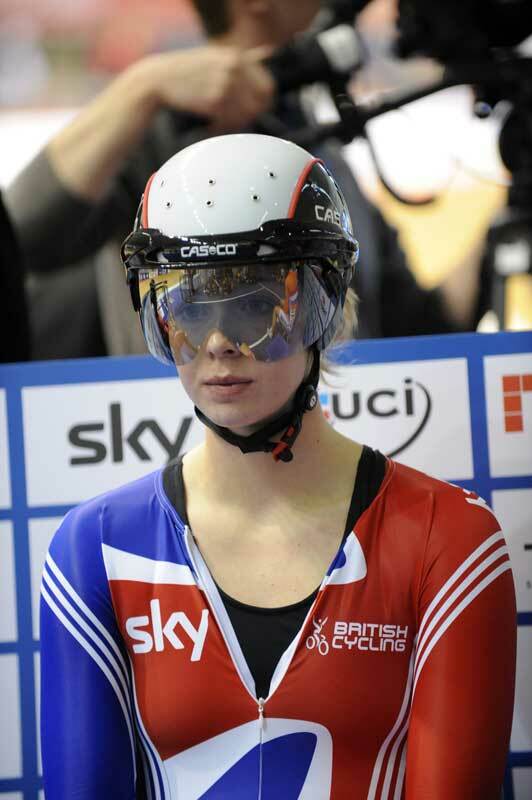 Becky James announced herself to the cycling world in spectacular fashion, scoring two gold medals apiece at the World and European Junior Track Championships. However, before June, ‘Becky who?’ might have been a more appropriate question to ask. In 2008, glandular fever and a tonsil operation had robbed the 18 year old of a chance of proving her worth. However, once fit, there was no stopping her. At the European Junior Championships, her first major international competition, she claimed gold in the sprint and 500 metres. Four weeks later, at the Junior World Championships in Moscow, she rode assuredly to two rainbow jerseys, winning the sprint and keirin and breaking a junior world record in the process. Things have moved very quickly since then. After being blooded in her maiden Track World Cup at Manchester, in October, James has been touted as an unlikely challenger for a berth on the London 2012 team – she herself identifies Jason Kenny, who claimed Olympic sprint gold in Beijing at the tender age of 20, as a role model. However, there’s no hurry for the youngster to perform, with long-term goals in the next ten years more viable than the next Olympics. If she continues to progress, ultra-competitive James could take over Victoria Pendleton’s crown as queen of the track sprinting world. The pre-race buzz was all about the highly anticipated clash between domestic time-trial dominator Michael Hutchinson and Bradley Wiggins: the former unbeaten in time-trial competition for two years; the latter flying on the back of his ground-breaking Tour de France fourth place. Garmin star Wiggins came out on top with a virtuoso time-trialling display, despite being drafted part of the way by Matt Bottrill, who was later disqualified. On the 31.2-mile course around Botolph Claydon, in just over 62 minutes, Wiggins beat closest challenger Hutchinson by 2-19. Five weeks later, he capped his finest season to date by taking overall victory in the Sun Tour in Australia. Emma Pooley (Cervélo Test Team) took the women’s title, edging out fellow Olympic silver medallist Wendy Houvenaghel by 30 seconds. Mark Cavendish’s emphatic win at Milan-San Remo, in March, propelled him from the ranks of the mere mortal sprinters, to a Classics superstar and one of the greats of the sport at just 23 years old. Cavendish’s win was the more remarkable for the fact that it was so unexpected. At such a tender age, and over the colossal length of San Remo’s 298km, many of his rivals were content to discount the Manxman’s chances. In the lead-up to the race, Cavendish himself played with his rivals in the media, saying initially that he would be going to his debut Classicisimma to learn, and he would be content with simply finishing. As it turned out, Cavendish had no weaknesses to exploit, as least none that his rivals were aware of. The Columbia team, with the help of sprint coach Erik Zabel, himself a four-time winner, prepared meticulously for the race, studying every detail, reducing the odds and leaving nothing to chance. For all the pre-race strategising, nothing could have prepared Cavendish for the ferocity of Heinrich Haussler’s last-minute attack. The Manxman kept his composure and timed his counter-attack to perfection, inching past the German with moments to spare. Embracing the legendary Mario Cipollini soon after crossing the line, his eyes beginning to swell with tears, the enormity of his achievement began to register. The only other British winner of the ‘Primavera’ was the late, great Tom Simpson in 1964. “Hey Glasgow, Scotland! I’m coming your way tomorrow. Who wants to go for a bike ride?” asked Lance Armstrong to his army of more than two million followers on Twitter. Once details of the ride in Paisley had been posted, that left just a couple of hours to get there, yet hundreds braved the summer rain in Glasgow to catch a glimpse of their hero. For a man who is usually so impenetrable, so distant and reluctant to engage with the public, it made a welcome change. Armstrong was beaming and took the time to chat with his fans and sign copious numbers of autographs. The impromptu ride was not only a testament to the power of social networking sites in the modern age, but also to the American’s truly global appeal. All that remained was a feeling that maybe this is what his ‘comeback’ should have been about all along. The Tour of Britain – the highlight of the calendar for aspiring domestic-based riders to show what they’re made of and pit themselves against the mighty continental professionals. That was how it was supposed to be at least, until the Norwegian Edvald Boasson Hagen decided to make the race his own. The 22-year-old Columbia rider’s dominance of the race was hegemonic, winning four of the eight stages, claiming overall honours in the process and leaving room for just one British stage winner. The young Norwegian’s performance was a testament to his versatility, not to mention his prodigious talent. Boasson Hagen also won Ghent-Wevelgem in imperious fashion, a stage at the Giro d’Italia and the overall at the Tour of the Benelux. 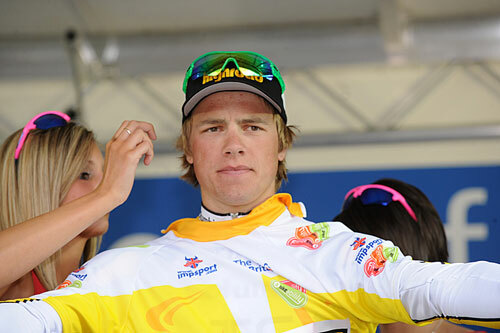 Boasson Hagen’s Tour of Britain win was the more significant because of an imminent move to the British Sky team. Sky’s team manager Dave Brailsford’s satisfied grin showed the trust in his future young charge had been vindicated. Visitors to the Cycle Show at Earls Court, in October, were afforded a sneak preview of the bikes that are set to flood the streets of London as of May 2010. Taking their stylistic inspiration from the Parisian Vélib scheme, London Cycle Hire aims to revolutionise transport within one of the world’s most heavily-congested cities. The scheme will launch with a bang; 6,000 of the robust bicycles will be spread across 400 docking stations around the centre of the city, meaning that you will never be more than 150 metres away from a bike. The level of cycling is rising exponentially on the streets of the capital, and with plans to expand the scheme in phases, it seems its popularity is already assured. However, reports emerging from Paris will have given Transport for London some food for thought. Vélib has been beset by theft and vandalism since its inception. One can only hope the same fate does not befall London. Emma Pooley’s win at the Montreal GP in May was the perfect encapsulation of just how successful the Briton’s season was. The petite climber escaped early in the race and was not seen again until the finish. 110 kilometres later. Pooley added the GP Plouay and the National Time Trial Championships, amongst other things, to an ever-expanding palmarès.